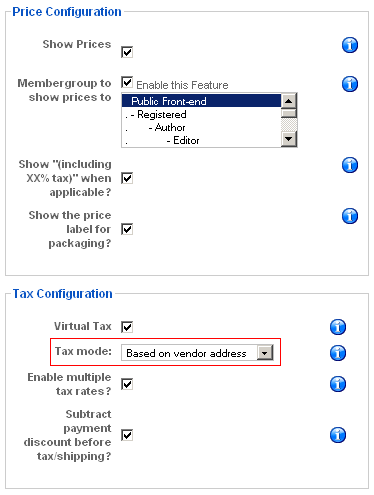 Product display is different for different configuration but in all configuration tax is add but it shouldn't. Will try to explain with images. Tax mode = Based on shipping address. Product has no tax assign to it; VAT Id = 0 (-none-) hence no tax should be added. 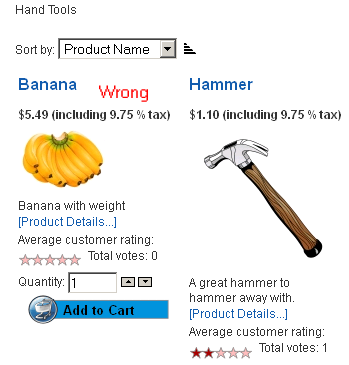 Product in front-end is shown correctly without tax. Tax mode = Based on vendor address. 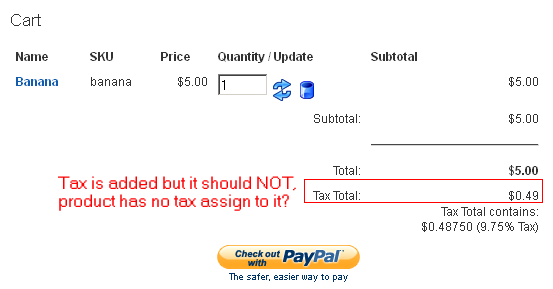 Product in front-end is shown incorrectly (it shows with tax it shouldn't because product has no tax assign to it). Price display changes when in 'Shopper Group'-> 'Show Prices including tax' is checked/unchecked but the final result (checkout) product has tax. To solve this problem, go to SHOPPER->LIST SHOPPER GROUPS. Edit the DEFAULT shopper. Uncheck the "Show Prices Including Tax" checkbox. Hello, I am having this exact same problem. 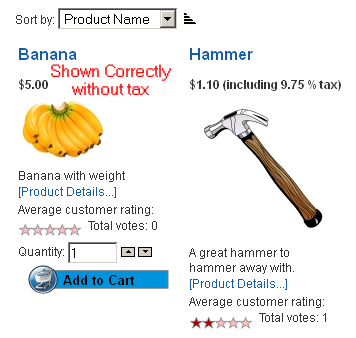 No VAT (sales) tax is assigned to a Virtuemart product but Virtuemart is still charging tax. Joomla 1.5.25 and Virtuemart 1.1.8. We are willing to pay a consultant for any advice or a fix. I was facing the same issue with my Joomla 1.5.22 and VirtueMart 1.1.8 stable version. After debugging I found the solution of same. - While getting tax rate from VM system using call of get_taxrate( $ship_to_info_id = '' ) method in joomlavm/administrator/components/com_virtuemart/classes/ps_product.php file. - In that function have some conditions which stores the taxrate in session, and that is based on vendor_id. - Every products with same vendor_id will be applied with same taxrate. Though in Admin panel we have not set VAT/TAX Rate field value. (i.e. 0 - none ). * Added Patch in Joomla VM for VAT auto added to all Products. * In Admin we have set VAT combo with value "0". * But in Front-end its calculate value by applying VAT. As the Shopper Module have facility to include TAX check box. * Avoid to include VAT in front-end by reset $_SESSION['taxrate'][$ps_vendor_id] with value 0.